Athena Pack is named after a poem by Rudyard Kipling called “Law of the Jungle” that advises keeping strong supportive company (as with a wolf pack, for example) as a vital strategy for success. 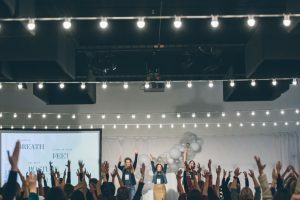 Speakers include 2018 Sundance award winner Alexandria Bombach; Tara-Nicholle Nelson, CEO of Soultour, a public benefit corporation; and Esther Speck, vice president of global sustainability for Canadian clothing company Lululemon Athletica. This year’s summit will take place May 1-2, at the Rialto Theater in downtown Bozeman. Participants can register at the Athena Pack website and find out more about keynote speakers, events, testimonials, and other activities.